A new infographic by HIN examines eight key healthcare industry trends for 2018. As 2017 draws to a close, the recent CVS Health-Aetna merger continues to dominate the healthcare conversation. David Buchanan, president, Buchanan Strategies, weighed in on the non-traditional partnership during a recent webinar. Listen to Mr. Buchanan predict the future of mega mergers in healthcare, the impact of the CVS-Aetna alliance on brand awareness, and the real 'bonanza' of the $69 billion partnership beyond bringing healthcare closer to home for many consumers. More information on this topic can be found in: Healthcare Trends & Forecasts in 2018: Performance Expectations for the Healthcare Industry, HIN's 14th annual business forecast, is designed to support healthcare C-suite planning as leaders react to presidential priorities and seek new strategies for engaging providers, patients and health plan members in value-based care. 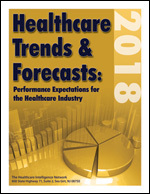 HIN's highly anticipated annual strategic playbook opens with perspectives from industry thought leader Brian Sanderson, managing principal, healthcare services, Crowe Horwath, who outlines a roadmap to healthcare provider success by examining the key issues, challenges and opportunities facing providers in the year to come. 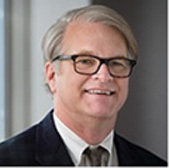 Following Sanderson's outlook is guidance for healthcare payors from David Buchanan, president, Buchanan Strategies, on navigating seven hot button areas for insurers, from the future of Obamacare to the changing face of telehealth to the surprising role grocery stores might one day play in healthcare delivery.